At these events, the UN will gather industry leaders in renewable energy and finance, in order to create green energy projects which will benefit developing countries. 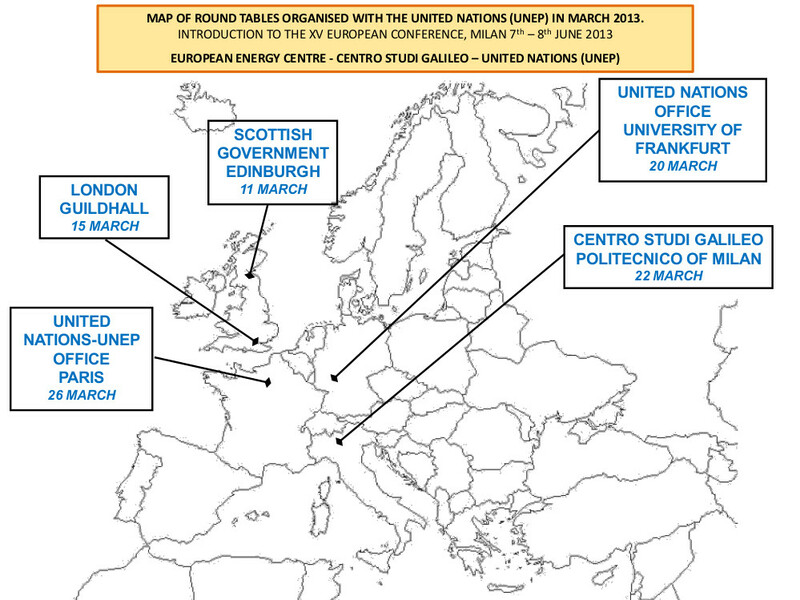 The Round Tables comprise five such events in financial centres around Europe, at locations including the London Guildhall, the United Nations offices in Paris and Frankfurt, and the University of Milan, between 11 and 26 March. The EEC has a history of working closely with Edinburgh-based organisations including Heriot-Watt University and Edinburgh Napier University. "We have been promoting best practice in renewable energy for nearly 40 years through education, training and major conferences for personnel working in the renewable energy field, and this Round Table gives the opportunity to create green energy projects in countries that need them. We are excited and honoured to host this event at the Scottish Government, and we hope to create innovative new projects to provide clean power to developing countries. "After 10 years of partnership with UNEP, the European Energy Centre is delighted to be able to give Scottish experts this opportunity to use their skills to benefit developing countries. "Several European Governments and the European Commission have shown strong interest and support to the European Energy Centre's activities in education and training for renewable energy; in this respect we are proud that this event has attracted experts in the field and world-class organisations." The Round Tables also serve as an introduction to the 15th European Conference organised by UNEP, CSG and EEC, taking place at Politecnico of Milan in June 2013. CLICK HERE for more information on the Round Tables around Europe in March. CLICK HERE for more information on the 15th European Conference.